Digitisation is most successful and effective when top management leads the processes. This is prevalent in markets which have world-class infrastructure because the presence of high-quality physical infrastructure is a pre-condition for successful digitisation. These were the conclusions drawn by experts from SP Jain School of Global Management (SP Jain) and business consultancy, Accenture Strategy, through a three-month online survey on digitisation in the Supply Chain Industry. 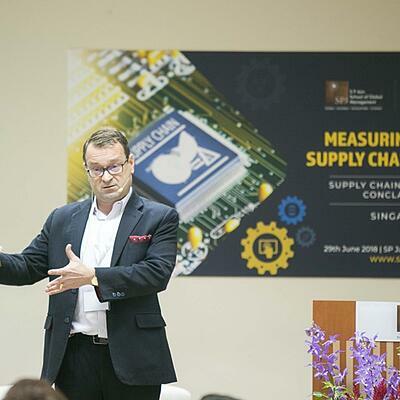 The survey’s result of “Measuring Digital Supply Chain Maturity” was released at the SP Jain’s Singapore campus on 29 June 2018 during SP Jain’s 7th Supply Chain Management Conclave. 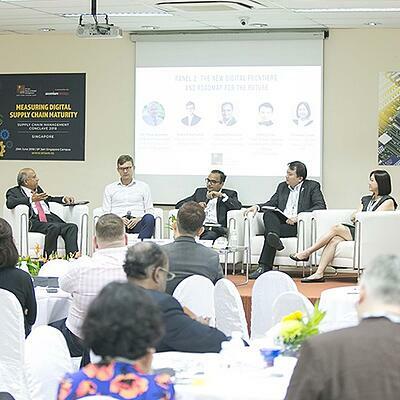 The experts endorsed the survey of over 100 companies, of which more than 60 per cent of the companies were from Southeast Asia where online ordering, procurement and sourcing is growing fast in combined markets of 660 million people. 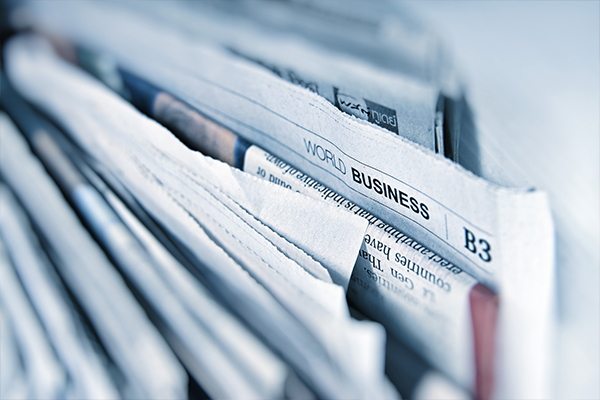 “Top management, led by chief executive officers, responded to the survey,” said Dr Rajiv Aserkar, Professor – Logistics & Supply Chain Management at SP Jain. “Superior customer experience is vital in today’s globally competitive markets,” he added, pointing out that multi-national corporations (MNCs), with annual revenues in billions of dollars, were focused on digitisation, especially for the Southeast Asian region where online trade and e-commerce is picking up. An interesting finding from the survey was the focus on cost-cutting by the large MNCs to enjoy a competitive edge in the market, versus focus on innovation among smaller market operators, noted Dr Aserkar. While the MNCs have big budgets for technology acquisitions, smaller players are creative with innovations. “This cost versus innovation creates a level playing field for the smaller companies,” said Mr. Cyrille Witjas, Managing Director, Accenture Strategy. These are some of the very valid points which have come out from the research survey. 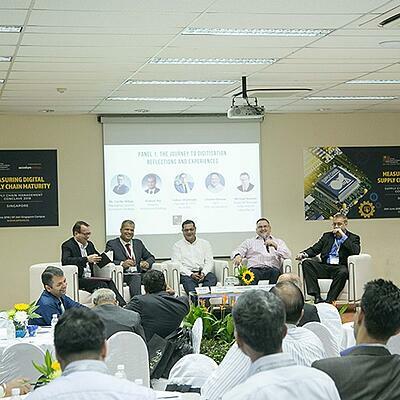 Mr. Cyrille Witjas suggested the methodical adoption of technologies such as Artificial Intelligence (AI), Blockchain or Internet of Things (IoT), with the top management taking the lead. The survey calls for an Enterprise-wide Digital Agenda. All businesses must have Digital DNA, Digital Strategy and even Refresh Digital Strategy on a regular basis to stay updated with emerging technologies. For Superior Customer Experience, Digital Strategy must be made official, added Mr. Cyrille Witjas, highlighting the survey responses. 1. Brilliant Basics: Have no regrets when adopting emerging technologies; prioritise the industry essentials; drive for efficiency for business growths. 2. Digital DNA: Make this enterprise-wide agenda official and refresh the digital strategy to stay competitive in the marketplace. 3. Digital is Human: Infuse new blood for high performers who are looking for co-innovations and collaborations within the fast expanding eco-system. The Internet-IT-Savvy youths are the ones bubbling with innovative ideas, added Dr Aserkar who plans to make the survey an annual exercise to keep up with the Supply Chain Industry’s digitisation programmes.